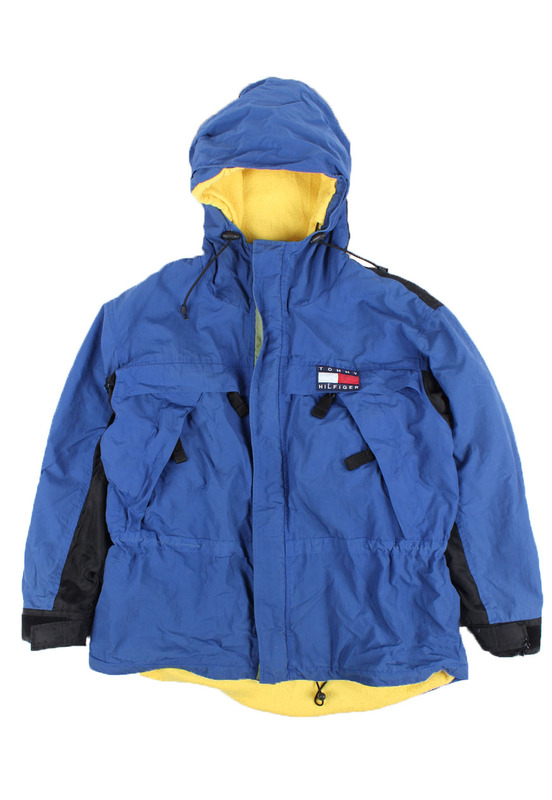 Vintage Tommy Hilfiger Parka Jacket. A tear in one arm has been fixed. Cuffs frayed.